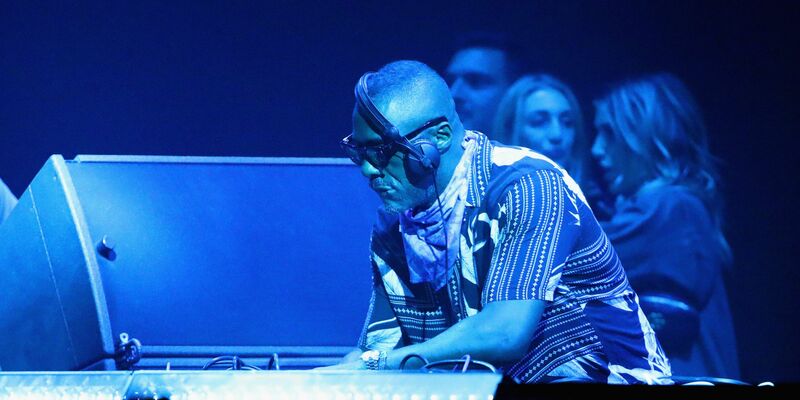 He might be best known for gritty screen roles in The Wire and Luther, but Idris Elba had the crowd going wild during his DJ set at Coachella last night. The 46-year-old actor joined the likes of Childish Gambino and Ariana Grande on this year’s lineup, and it’s safe to say festival-goers were loving it. Some fans weren’t quite sure what to expect when Elba was first announced as a Coachella act. And it’s true that he doesn’t exactly fit the traditional festival performer profile; he’s not a Beyonce or a Billie Eilish. “People were like, ‘What’s he gonna do—a speech? Scenes from “The Wire” with music behind it?’” Elba joked in a recent interview with the LA Times. But the response to his set in the Yuma tent was overwhelmingly positive. Elba isn’t exactly a newcomer to the decks; he’s been DJing as DJ Big Drills for years now, and recently charted at Number 11 in the United Kingdom with “Boasty,” a collaboration with British grime artist Wiley. He’s also brought his passion for DJing into his latest acting project; in the Netflix comedy series Turn Up Charlie (which he also created), Elba plays a washed up wannabe superstar trying to break into the EDM scene. Now that he’s smashed a set at Coachella, who knows what’s next for Elba. A slot on the Pyramid Stage at Glastonbury, maybe?